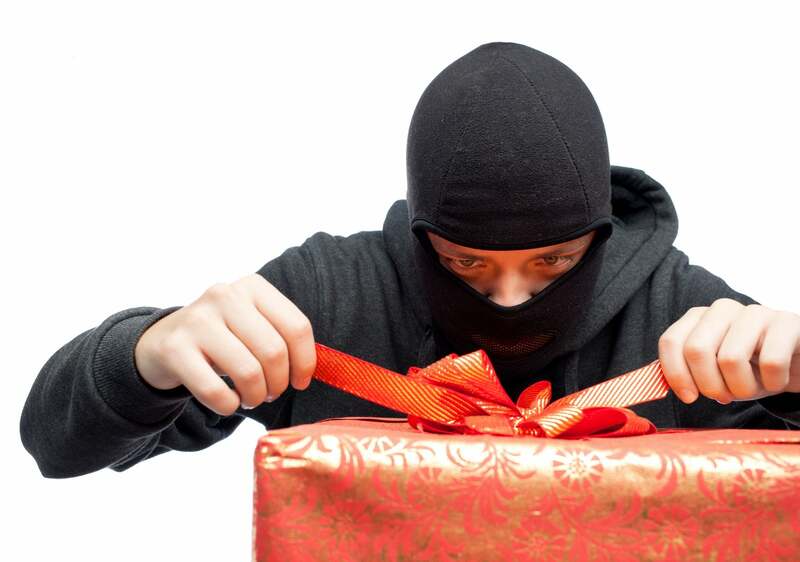 ‘Tis the season — the season for scams. With more holiday shopping taking place online each year, more online scams are popping up than ever before. Victims of online scams are at risk of fraud, identity theft, and serious harm to their credit. The FBI reported that total loss from cybercrime in 2016 exceeded $1.3 billion. That’s why each year, everyone from the FBI to politicians to the Better Business Bureau issues warnings for consumers be on high alert for such scams. You’re probably getting bombarded by marketing emails right now, but be careful what you click. Scam emails may well sneak into the bunch. Some emails will try to direct you back to scammy websites, which could then try to trick you into buying fake products from them in order to give up your banking information. Another common email scam involves scammers masquerading as a tracking service like UPS or FedEx. They send you phony information about your “recent orders” and ask you to download an attachment or click a phishing link. These could contain malware that scammers use hack into your personal data. If you’re unsure if a tracking email is a scam, call the company’s customer service line — but only use the number located on its actual website, not one you found in the email. Also, be cautious of social media promotions or contests. Scammers will sometimes use this method to get you to fill in fake surveys, and then steal your personal information. Charitable donations tend to spike around the holidays each year. Unfortunately, so do the scams looking to take advantage of the spirit of giving. Fake charities are so common that they regularly appear on the IRS’s annual list of “Dirty Dozen” scams. Fake charities often design themselves after legitimate organizations, using similar names and page layouts to fool you. You can check if an organization is legitimate on the IRS website. Don’t give out personal information to anyone claiming to represent a charity and solicit donations. And when you do make donations, use a credit card or check rather than cash or wire transfer. They’re easier to recover if the charity ends up being bogus. Our spending tends to increase over the holidays, so the idea of making a little extra pocket money may be appealing. But be cautious. Some seasonal employment is completely legitimate, but some postings are created by scam artists who are also trying to get a little extra pocket money — yours. If a prospective “employer” expects you to spend any cash up front, whether on job training, a start-up kit, or your own inventory — beware. Jobs are supposed to pay you, not the other way around. If you do become the victim of identity theft or fraud as a result of scammers this holiday season, and your credit takes a hit as a result, Lexington Law can help you with credit disputes and credit restoration. Contact us today to find out how we can help. This entry was posted in Negative Items and tagged Credit Repair, credit report, holiday, Identity Theft, scams. Bookmark the permalink.